283 impact investing indicators have been added to the Global Value Exchange. These indicators have been taken from IRIS - a catalog of generally accepted metrics which measure social, environment and financial performance of organisations. 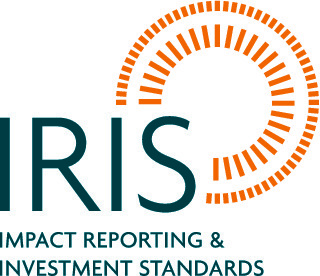 IRIS indicators are aimed primarily at the impact investing community but will also be useful for organisations which want to measure the social value they generate. The full catalog of metrics can be downloaded here. This blog explains how we have uploaded IRIS metrics to the Global Value Exchange. The sections Organization Description and Product Description consist of general information which may be useful for impact investors but which we felt were not suitable for use as indicators (i.e. ways of measuring a change) on the Global Value Exchange. Our first step was to link the IRIS indicators to outcomes on the Global Value Exchange. These outcomes are all changes that an organisation creates or experiences. All of the indicators we have uploaded can be accessed by searching “IRIS” on the indicators page. For more information on the IRIS catalog of metrics, click here.